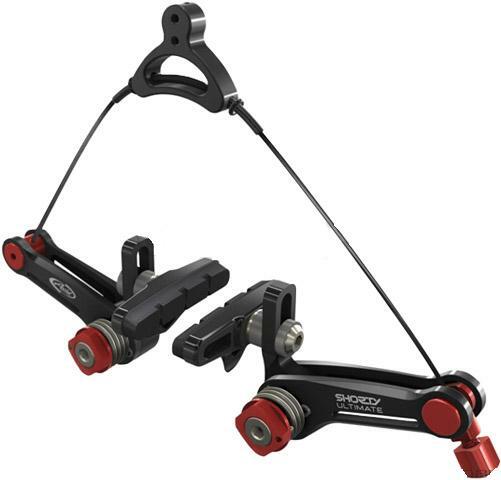 Avid’s cyclocross brake with the ultimate balance of power, control and weight. The Shorty Ultimate is available in a pre-set wide or narrow stance which allows for greater power (narrow) or increased mud clearance (wide). 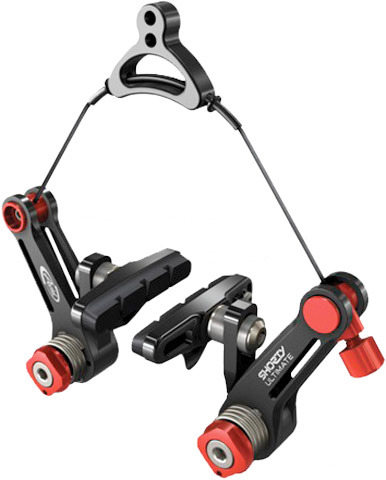 The Avid Shorty Ultimate is equipped with an in-line cable adjuster and a quick release. Comes with standard road cartridge pad. Made of cold forged aluminum. Available in Black Anodized. 115 grams. Price is per wheel.